Online search engine optimization is constantly changing, mostly due to algorithm updates from various search engines, most especially Google. With its Penguin update, everyone has seen how it wiped out websites practicing black hat SEO tactics. Unfortunately, though, some legitimate websites got ranked down as well, and the reason for this is that they over-optimized their website even if they didn’t mean to. In short, while they are utilizing white hat SEO tactics, they may have unwittingly exerted more effort in influencing the search engine’s algorithm rather than their user interaction, which Penguin also heavily punishes. So in essence, these websites got tagged as spam just because they were over-optimized, which is also a no-no for Google. Thus, one can say that the legitimate way to get to the top of Google’s results page are now even more highly controlled. So, what can SEO Marketing specialists do in order to make sure that their white hat tactics don’t go overboard? 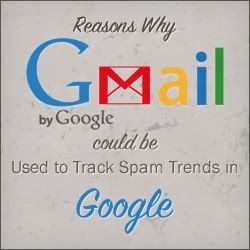 The trick is simple—know how Google filters and determines what spam is. For someone outside the industry, this quandary is really mindboggling, since there’s really no way Google shares its algorithm’s specific inner workings, but if you have a good eye in everything, there’s a Google product that could possibly help you with that: Gmail. Gmail points out that a way of determining spam is through their community clicks, meaning that, as more users mark things as spam, the more Google could easily determine it as well. Not only that, they openly admit that their best way of dealing with spam is through user feedback, and because of the Google Book Search team, Gmail now has image spam identification capabilities. Thanks to the Google search team, Gmail can now classify spam.